We do love Egg Decorating Ideas – and we love decorating eggs with preschoolers too, though decorating real egg shells can be quite tricky for preschoolers small hands AND can result in the odd broken egg or two (we always have some casualties)! 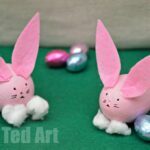 So we like egg crafts, that once they are finished, are a little more robust! 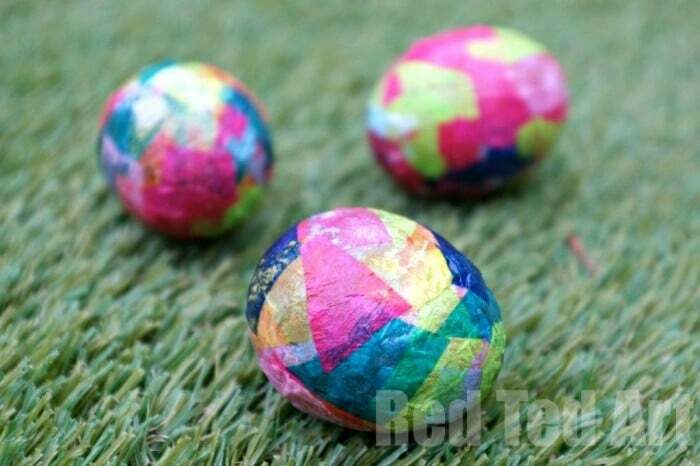 Though these are for decorating our Easter Tree, the kids can never quite resist playing a little! 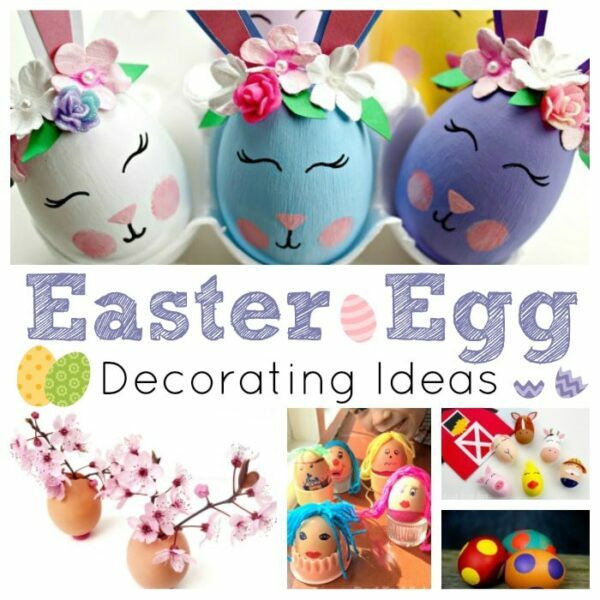 This makes a wonderful Easter Craft for Preschool. 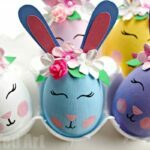 We made “Eric Carl Easter Eggs” – bright and colourful – applying decoupage techniques. 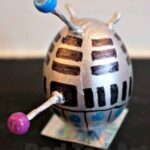 1) As our eggs wee brown, light colours like yellow and light blue were only effective with several layers. 2) Paint on some glue, add your tissue paper, add more glue on top. Keep going. Pip Squeak LOVED this process and managed about 2 eggs almost all by herself. I just add a final layer of glue to make sure it was all smoothed down nicely. 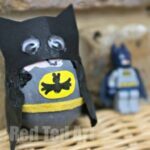 Red Ted liked having a go, but moved onto his Batman Easter Egg after one egg! 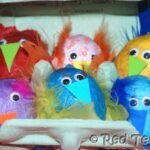 I love the final craft – so bright and colourful and really reminds me of Eric Carle artwork – so we have named these our “Eric Carle” Easter eggs! 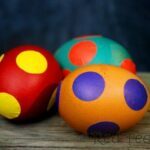 I like these eggs! 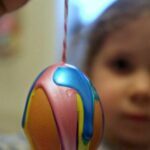 I have many young ones in my home daycare and I’m always looking for great ideas (like this one) that are hardy for little hands that like to explore (drop, bend, smash, throw, etc.). Thanks!